Hardware stores provide consumers with tools and construction materials needed to build, maintain, and improve their homes and properties. Examples of home improvement merchandise are as follows: automotive supplies, building materials, electrical supplies, hand and power tools and accessories, hardware, home decorating products, house wares, lawn and garden items, lumber, paint/paint sundries, plumbing/heating/cooling products, sporting goods and more. If you are thinking of starting your own hardware store then now is the best time to do so. Why? The demand for retail stores of this nature have grown tremendously because of the upsurge of the do-it-yourself phenomenon. Advertise your retail hardware store aggressively, and if you can, try to establish a low-price image and put emphasis on convenience shopping. Before jumping in the water, make sure you know how to swim. Ask yourself if you have sufficient experience to start and operate a hardware store. If you are considering buying a previously owned hardware store, make sure you know the reason why the business is being sold. Try to find out how the sales volume for the store is, is it high or low? And the reason behind it. Also, check out the market price to see if the owner gave you a fair figure. Don’t forget to negotiate to get a better deal. In choosing a location to open a hardware shop, consider the following factors: the neighborhood’s prospect for growth, the age and income of your customer base, the amount of competition in the area, and the accessibility of the area. Study the competition in the area. Find out the strengths and weaknesses of the other players in the locale. Find out how you can compete with them. The average size of a typical independent hardware store is between 20K to 30K square feet or larger. Maximize the full use of your space by installing a lot of shelving and display cases. The more items your browsing patrons come into contact with, the better. This will translate to additional sales for you. The perception that this industry is dominated by big players is just that, a perception. Although retail chains are important in this industry, in no way do they control the total retail distribution channel. They may have the bigger market share but small to mid-size hardware stores do enjoy their own portion of the consumer pie. In fact, studies reveal that independent hardware stores can compete successfully with the large chains. In some cases, consumers find them better than corporate chains because of their personalized approach. You can get your stock from three sources. One, full line hardware wholesalers, two direct from the manufacturers, and three, secondary or specialty distributors. The usual avenue chosen by most independent hardware store owners is via wholesalers. When affiliating with wholesalers, you get to receive marketing and advertising support as bonus. Your target market would be the local community. As such, your inventory of products must be geared to cater to their preference and needs. Ensure satisfactory customer care by providing personal service and hiring/training your staff to make them leaned in the field of home improvement and construction. Donâ€™t be fooled. a hardware store is a huge investment that takes meticulous planning. it is not a one man show anymore and will take a team of dedicated people to see it be successful and by the way, the DIY market is trending down as the population ages, that's why so many of the big box stores are pushing installation services. good luck. I have been working on opening a nationally known hardware store in my town since December 2006 and it is now July 2008. What a ride!!! Start, stop, start, stop... Be prepared for a lot of stress, time and money. we are almost ready to open in October 2008. Is it easier to start if you already own the building? I want to open a non franchised store in a small town. The rent from the apartments carries the building mortgage. I manage a hardware store in a VERY small town and it is very big struggle. I know that I mark up everything up 30% and that seems to still be lower than the lumber yard in town. My spouse and I are planning on purchasing this business and yes we are very scared but excited about the new adventure. Looking to start a hardware soon already have the location and building set up. Need some wholesalers, manufactures and distributors. Trying to open up my own little hardware store and trying to find the local wholesalers...any help on going about it? My father owns a hardware store in a prime location & i want to extend my business by adding some hydraulic fittings and components. I want some tips & knowledge about how to extend my business. Can I ask more tips on how to start a hardware store in a municipal area, and how many percent should i put in one item? Hey, here is a wholesaler for hardware stores, the number is 787 769 2933... they have really good prices. i wanna start a retail store of hardware, will it be profitable for me? moreover i am a MBA graduate. I read all the comments posted and would like to know how much capital do I need to set up a hardware store? Secondly, I have HD and Ace with in 5 miles, how do you find a location outside your town, and are there any services available which can help me find the locations? Thanks for your information. I have started a small hardware store and would like to know the best way of grouping and coding the inventory items. For example Paint department. Hardware "don't do it" When Bunnings comes to town there objective is to CRUSH the small independents and even small franchise Hardware stores and eventually do the dirty F######!!! How much money want to invest in Medium hardware shop and where are the wholesaler please give me the name and address. orgill is wholesaler we deal with from the U.S. and Canada we deal with canwel building. that's mostly just on hardware. Lumber is different mills seem to carry all different sizes. your best bet is to look at what your competitor is selling and go from there. it takes time for you to earn trust from the wholesalers and distributors. I have interests in starting up a hardware store in my village, i have a house which needs to be renovated, how much do i need to start with? competition is tough and competitors are going high especially my next door competitor hardware store. I want to start Hardware Business in my country becoming an agent of the biggest store to deal and distribute their products. any one's success in any business today will depend on how much in depth knowledge you have about it. its important to have interest in the business, know the inner workings of the business, the right connections and also give a "cosmetic" approach to it. i.e it should provide something distinct from what the rest are providing. so dont be discouraged by those talking of "a lot of capital, time and stress." I'm an independent dealer and I used a guy named Dan Ramos (danramos at cox dot net) to set up my whole store. He planned everything, ordered and installed my fixtures, set up my computer system (POS), merchandised product, hung signs and trained my employees. Because I talked to him first, I will be opening another store next year. Look out for the "helpful hardware..." they are not very helpful at all. I will not be affiliated with a coop ever again. My advice is look around and do your homework. We are thinking about opening a hardware store about 3000 sq. In North in Iraq we are looking for some international wholesaler that will provide us with tools and idea to start up this project any recommendations will be greatly appreciate it please respond. i am thinking to start a hardware store in koraput dist of orissa. how much investment is required? i have my own building. name some of wholesalers, manufacturers and distributors. i am a medium sized hardware store owner in small town. there are 6 to 7 hardware stores in the same area and one is in next door to my store. And i think my store is not doing well as the others. please suggest ideas to be the number one. www.Bostwick-Braun.com (member PRO Hardware Group) is a regional hardware distributor. We can help independent hardware owners get started. I have been in sales within this industry for over 25 years and it can be rewarding. However there are no short cuts in this business! Be prepared to work hard and long hours if your going to be successful. I manage a sales territory in SW Michigan as an employee owner of the company. It is a great time to get into the industry. The trends are leaning towards remodeling and repair. i would like to start a hardware store and my business location in minneapolis, mn, u.s.a. please help me to open this store. I want to start a small hardware at the outskirts of Nairobi town. My big worry is how to asses the business to know what am going into as am not experienced in this field? We sell second hand Dell P4 CPUs at low rates in very good conditions. So anyone who is willing to start can contact us for the above mentioned inf. at kingsway.syt@gmail.com. We have the pics and complete pics through word file. please i would like to open a hardware shop but i dont know how to go about it. what it entails, what to sell, and how to acquire them. I want to start a mid sides hardware/lumber store. need help with how to start it. and how much capital will i need to start it. Chinese manufacturers direct supply led lights, high quality low price, please call or EMAIL consultation. TEL：86-0574-23618678 Ningbo Prime Electronic Technology Co., Ltd.
Dear, I started a hardware store, first 6 months u will be almost paying everything from your pocket. Mainly because you are new in the area..Retail business is something which requires, Patience, determination and u should be able to subsidize it for 6 months. After one year u will see a difference dramatically as a result of time as you are introduced in the market or your local area. I am always interested in a hardware store and next to my business there is a building to let. this building used to be the hardware and there is still people who still look for the hardware shop that used to be in that spot. Now i am interested in renting this space and put up a hardware store. But I do not know where to start in terms of stock to sell and suppliers of such stock. Would you please help. I want to start a hardware at soweto (South of Johannesburg) and I need advice. I want to sell building material for the community of Soweto. please help. Hello, I presently work at a little hardware store in Wv. They have actually been in business for 53 years now. One of the only true small businesses left in town. I am deciding wait or not to branch off from them about 30 miles away in an even smaller town. I know that the profit would be pretty good in this town as all of the folks go to the local store 30 miles down the road to get their supplies. Any suggestions on if it would be a good idea to branch off of the store that I presently work at! I come from kenya,kisumu city,postal address is 3470-40100 kisumu.I am a certified public accountant of kenya and would like to start a hardware business in the city of kisumu in the month of april 2011. may you please advise me further on how to start and the low priced wholesalers and distributors in my country, please this a serious plea and only serious persons to reply. I'm 52 old man with background in small construction and finance. I plan to set up a hardware business such as sole agent a certain brand tools and machineries, specially new products. My dream is to set up a "hardware supermarket" in Kuala Lumpur, Malaysia. Will you provide me a few successful hardware supermarket in any part of the world as a chosen model. I want them to be my mentor and willing to follow their steps or system . Hello, I plan to start a small Hardware Business within our compound. My wife already had a small Sari-sari Store in front of our house and her business is doing good because we are just beside a Public Elementary School. I have 2 establish Hardware Shop within 100 mt around my neighborhood. What do you think is it still advisable to put up my business? Can you advice me on what particular product i have to sell for the start of the business. My capital can only range from Php 100,000-150,000. My address is in Canduman, Mandaue City, Cebu Philippines. My husband and I are thinking of starting up a small hardware store in our local area. How much are the start up costs from start to open? Any help would be appreciated. hi, interesting on your comment for opening hardware shop and greet experience you sharing with us. But one thing, business problem is everywhere and everyone, so we take this as challenge to success. Hi,glad to see so many one who want to star their business.But before you want to start your business,you'd better think over and over about the difficult things you might meet in the future,such as tax,how to find a good supplier or distributor,how to place your goods in your store or shop,how to collect your money from your client. I just do my business in China,though there may some difference,but i would be glad to discuss that with you@ soobystar10@126.com. Hi, I want to open a small hardware store in a suburb in Cape Town, can anybody please give names of hardware wholesalers and what the cost will be to set it up. SW FLORIDA. I have owned a hardware store in Southern Florida since 1989. A lot has changed since then, but the basics are the same for a small hardware store. A hardware store is no different than any other small business. Every small business is a struggle to start and make a profit. The amount of capital required to start a hardware store depends a lot on the size of the store. 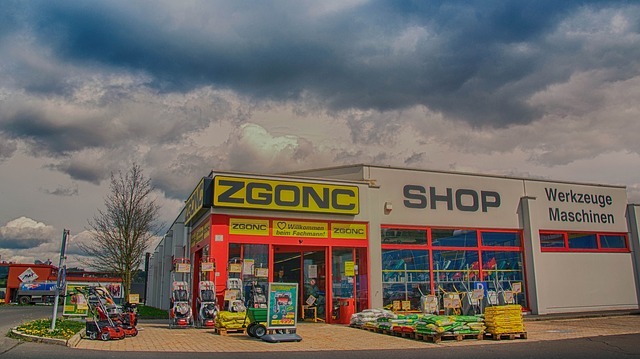 The most economical and practical way to get into the hardware business is to buy an existing store. Make sure you get good financials from the seller. If you are not adept at reading financials, enlist the aid of a CPA to help you analyze. You do not want to be buying assets; you want to buy a business that provides cash flow. Starting a new store from scratch is very difficult because of the huge initial cost for new fixtures and equipment. Back in 1989, I worked at the hardware store that I eventually bought for six months before making an offer. If you are committed to buying or starting a hardware store, I would advise you to do the same. This experience proved invaluable. We were a True Value for 10 years, and then switched to Do It Best. Ace, True Value, and Do It Best are the three largest hardware buying coops in the US. Basically, you place a weekly order with your buying coop. This order ships out of the closest warehouse via semi-trailer. Additional orders can be placed directly with vendors and billed through your hardware coop. In general, you cannot obtain the same pricing as big box stores. You have to provide convenience and high service level to differentiate your store from the competition. Could someone tell me what the average markup is on items purchased from Tru Value (Cotter). I am a CPA working with a small hardware store trying to get there pricing issues corrected. The Cotter rep said it is about 35%. That seems low to me, but I don't have any other clients that are in this business. @S Elbert, I know Elbert pricing is the toughest task. I was chatting with Dana about pricing her hand bags on this page, i hope you might get some pointers from there. Dear PRABHAKARAN .K.V. Pl. elaborate on the situation in kerala or this biz. my id kvfaisals@gmail.com. Me too planning one. a 2000sqft showroom. hi, we're planning to start a hardware store but don't have idea where and how. also dont know exactly how to start this kind of business. Pls. let me know any idea including where to get good suppliers and how much is the minimum capital required in starting this business. we're located in cebu philippines particulary in lapu-lapu city. thanks in advance. HI, i am a wholesaler/Importer of all types of hand tools, for all types of trades. Located in Sydney Australia. My family has been importing from Taiwan, china, Korea for more over 40years. catch me at Itzrizz@hotmail.com. pls.some advise im putting up hardware store in philippines..what stocks should i prepare? thanks..
i want start home hardware business..for i have no experience,i have 1200sqft area builder, in karnataka, so i am looking for best supplier..
hi, i operate a hardware store at lanao, philippines and i'm planning to open a branch store next town about 3km away. i'm concerned about pilferage since i can't be at the same time on both stores. Any tips on how to avoid pilferage? And i also need help about warehousing, logistics, inventory and other similar stuff. My warehouse is at the main branch and i don't intend to put up another because of space constraints.. Help pls..
i want start hardware business.i have 1200sqft area building on road at meerut (u.p.) so i am looking for best supplier.. I would like to start a Sanitary Hardware shop at Alapuzha or Cherthala in Alleppey District, Kerala State, India. How it will work out at these places. Is it a good decision. Hello everybody , Just want to get from your idea , how to start a retail hardware shop right now , i planing to start next year .. i am head ach ... please give some idea..